All of the search configurations available for selection are listed here. 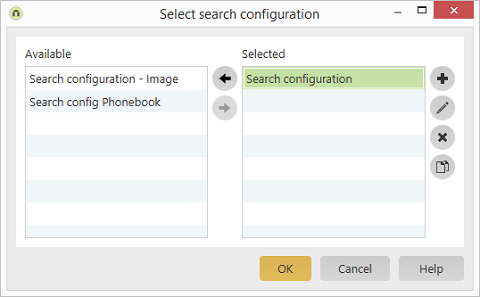 All of the search configurations selected are listed here. Move search configurations from one list to the other. Creates a new search configuration. The search configuration can be edited. Deletes the currently selected search configuration. Duplicates the currently selected search configuration.